Salaam Remi:“Next is ‘Like Smoke’—this version was recorded in May of 2008, a couple weeks after ’Between The Cheats’ was recorded. This was a song that she had actually finished the rest of the lyrics for, but never got a chance to record, and was slated to be on the forthcoming album. When we were going through different things that we felt people should hear, we didn’t have enough lyrics as far as the way it was put together—it was just a snippet. ‘On the Back to Black album ‘Me and Mr. Jones’ was Nasir Jones. "And she had a thing where she was a really big fan of Nas. Nas was also a key collaborator of mine over the last 10 years. 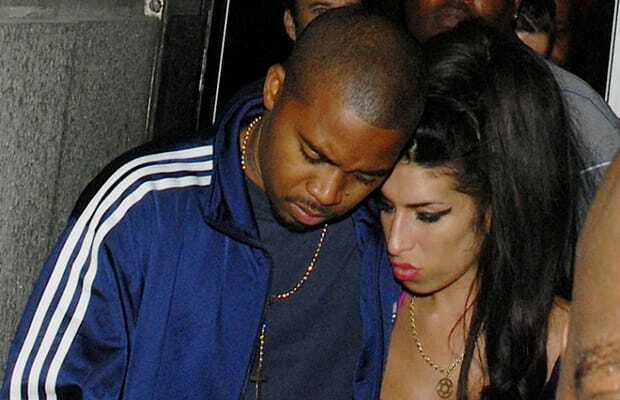 They both share a birthday, ten years apart—September 14, 1973 Nas; 1983 Amy. On the Back to Black album ‘Me and Mr. Jones’ was Nasir Jones. So I was like, we don’t have a Nas song on this album. Great, well here we go—as Amy would have said. "We were planning to do records together, and had been speaking about that a lot recently, but didn’t get a chance to do it. We all felt—her family and everybody else—that was the right thing to do with this song. He was feeling and mourning her loss as well, and when I sent it to him he stepped right up and handled it.